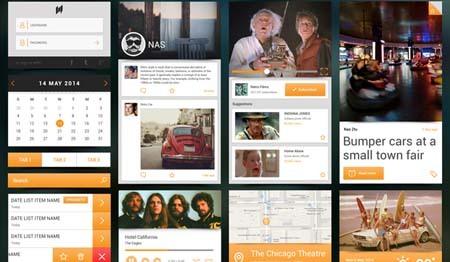 Today’s free design resource Mobile UI kit is designed and shared by NAS.This mobile ui kit comes in PSD format including widgets(map,weather,music player,clip player etc.) ,tab,calendar,newsfeed and sign in form. UI Kit for Mobile offers users a great way to create a high quality mobile interface that offers a professional, clean and fresh look. 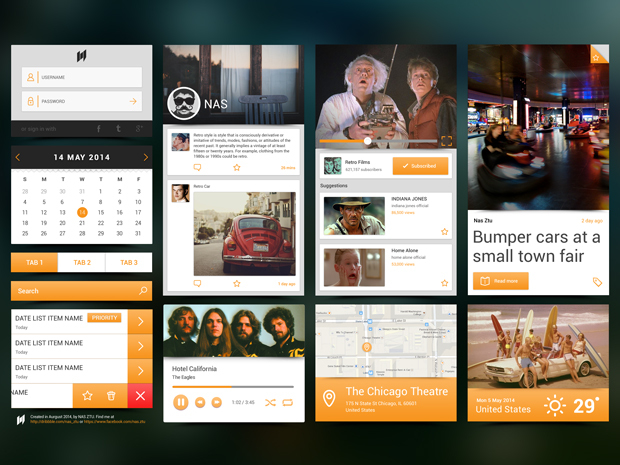 You can freely use this ui kit for your web and app design projects.